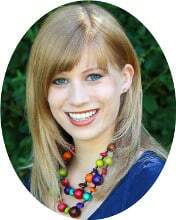 Today I got another great smoothie recipe for you. 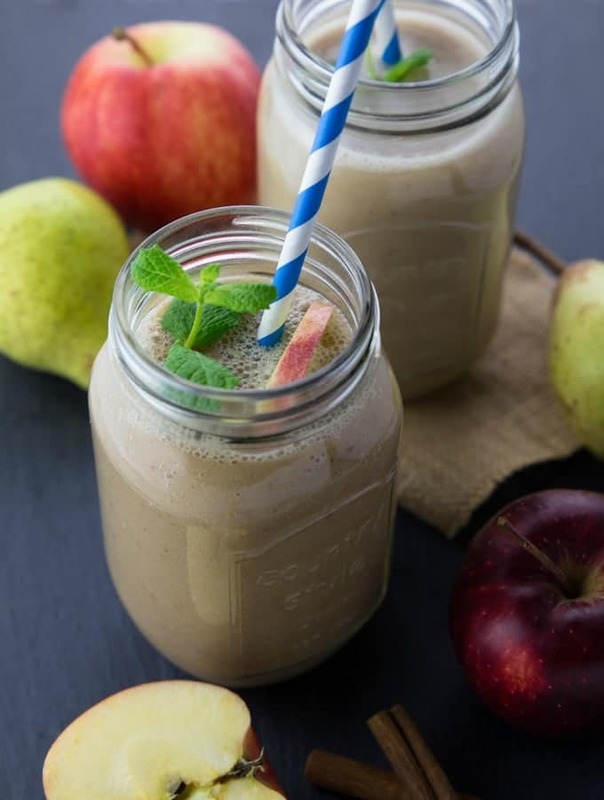 My new favorite is this apple pear smoothie with almond milk and a pinch of cinnamon. 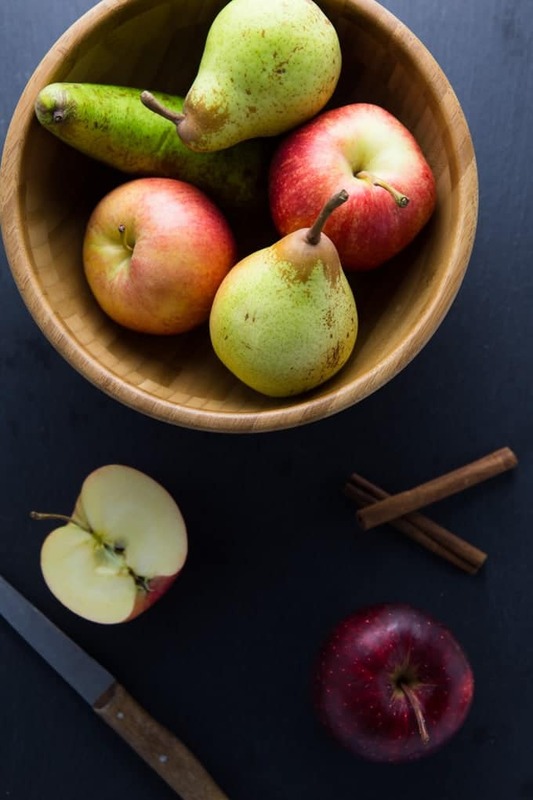 It’s so delicious and perfect for fall and winter! I love having it for breakfast and it also makes a great afternoon treat. I’m a total smoothie addict, but this was the very first time I made an apple smoothie. Of course I use apples for my daily green smoothies with kale, but somehow I never got around to making a smoothie in which apples are the main ingredient. Mainly because I thought the consistency of the smoothie would turn out a bit weird and chunky. But I couldn’t have been more wrong. 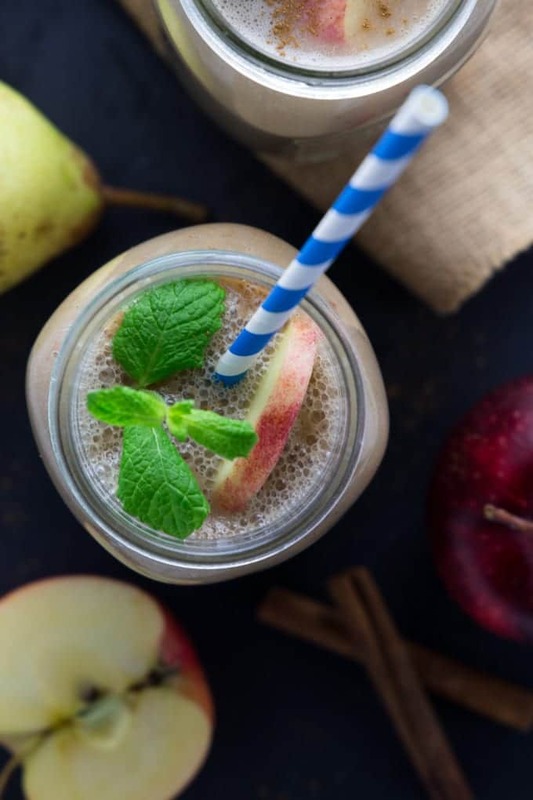 This apple pear smoothie turned out to be super smooth and creamy. I wasn’t 100% happy with my first try, but then I decided to add a banana, which really helped. And you can’t even taste the banana. My next kitchen investment is probably gonna be a juicer. My parents have one and I absolutely love making apple, orange & carrot juice with it. 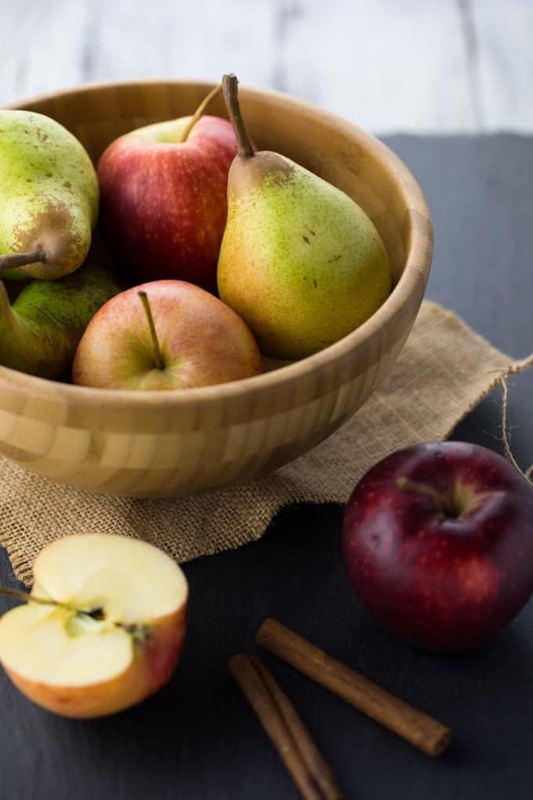 It tastes sooo much better than store-bought juice and of course it’s also a lot healthier. And you can even use the leftover pulp from juicing for baking or vegan meatballs. I would have gotten a juicer years ago, but unfortunately our apartment is already packed with kitchen stuff and there’s just not enough space. I already have to store my toaster in the oven. Haha! I hope you all have a great week! As always, I love hearing from you guys. 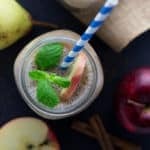 Let me know if you give this apple pear smoothie a try. 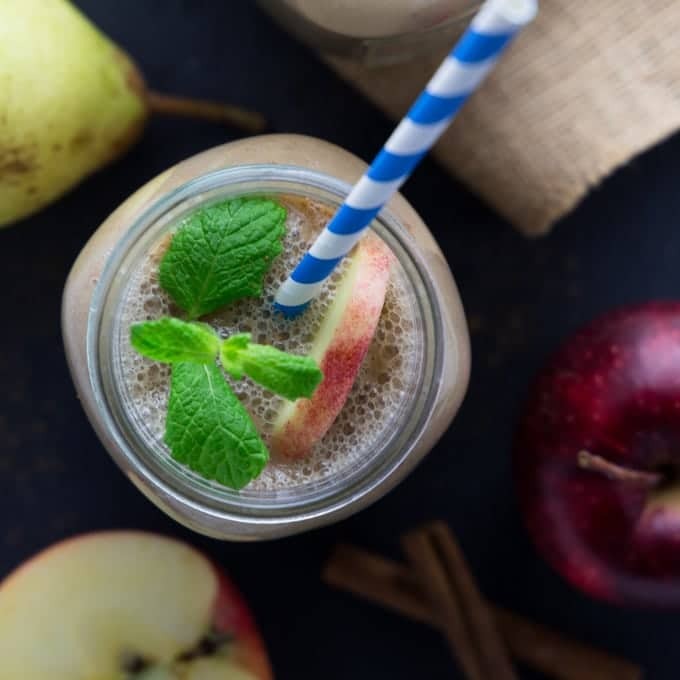 This apple pear smoothie with almond milk and a pinch of cinnamon is perfect for fall and winter! Great for breakfast or as an afternoon snack! Put all ingredients in a blender and process until smooth and creamy. Super yummy! I also added a few dates for my son because he loves sweet smoothies. Thanks for the recipe!